The G2 reticle configured 3.5-21x50 ERS Elite Tactical Riflescope from Bushnell combines a fully multicoated optical path and a weather-sealed housing to create a well-equipped optic for intermediate to long-range targets in a variety of conditions. 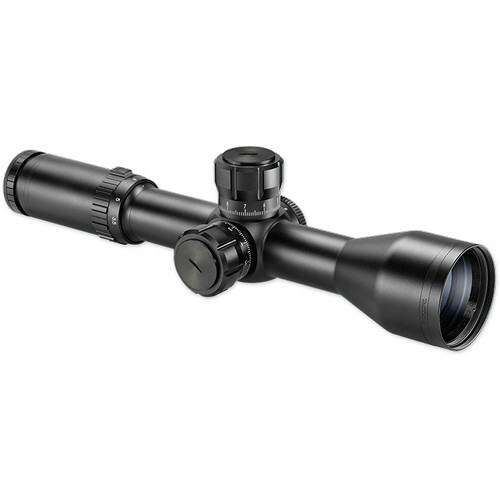 This Elite Tactical series scope includes a first plane G2 mil-hash reticle that assists the shooter with range estimation, holdover, and wind drift compensation at any magnification. The lens system is fully multicoated using Bushnell's proprietary Ultra Wide Band Coating, which maximizes brightness and contrast by minimizing reflections throughout the optical path. Complementing the anti-reflective optical coatings is an argon-filled forged alloy housing that prevents fogging and ensures waterproof performance. Locking windage/elevation turrets, long 3.7" eye relief, and adjustable parallax help make the 3.5-21x50 ERS a full-featured riflescope for tactical and recreational shooting applications.